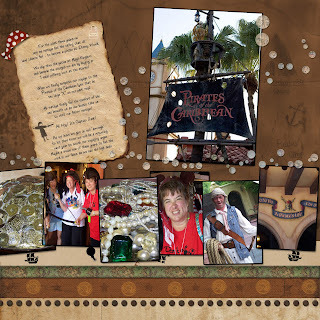 I have enjoyed using the digital designs of Britt-ish Designs at Scrap Matters. She has A LOT of Disney papers and elements. You can also check out her blog here. Anyway, she asks that you "show off" your layouts that use her product and post it. So.... here is my first "show off" layout using her wonderful products! 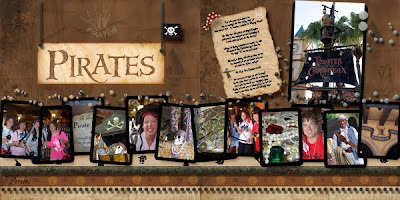 Can't wait to get some more pirate pictures with my best mate's Robyn, Jackie & Wren this summer. Arrrgh! As my friends all know, I can do tons of Disney layouts. Ha! Thanks for looking!! You like Disney? I had no idea. Gotta Pay Attention to the Rules! I'm on a Roll with Challenges!